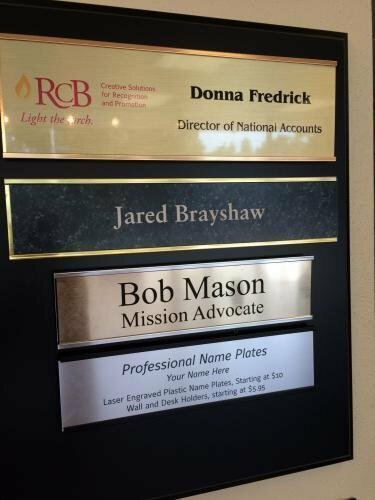 Does your office need a reliable partner who can produce nameplates quickly as new employees are hired? We service many different types of nameplate accounts. Once your program is set up, it's as easy as sending us an email with the name to be engraved when you need a new nameplate.